When James Lewington took a part-time job while at University he had no idea it would shape his future career in the hospitality sector. We caught up with Delicious Dining’s youngest General Manager to find out more. James stayed with the coffee house chain for four years, in which time he was transferred to Southampton where he managed the Above Bar Street shop and then when he was offered the full time Manager’s position at West Quay Starbucks; James decided that it was an offer he couldn’t refuse. James was quickly employed by Corporate Operator Marston’s and ran Ebb and Flow in Southampton. After which he was offered high volume pubs to run but outside of Southampton, where he wanted to stay. Luckily for James, he heard that Banana Wharf was hiring and was tempted by the opportunity of working for an Independent operator. 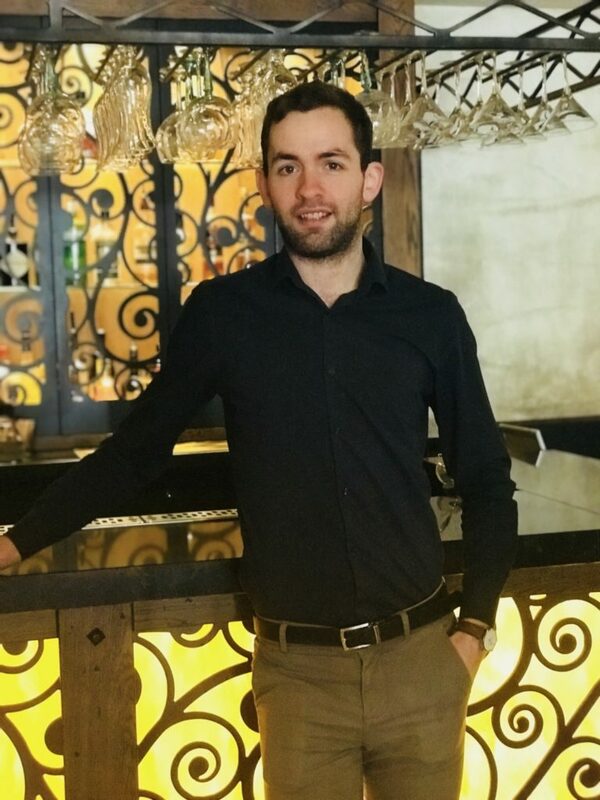 James worked at Banana Wharf, one of the group’s popular waterside eateries, for 18 months as Assistant Manger, a job that he loved but when an opening arose to mange Tapas Barcelona he knew once again it was an opportunity he couldn’t turn down. When asked what he thinks is the secret to getting the best from staff he puts feeling valued at the top of the list and something that James is keen to ensure happens at Tapas. “For me to get the best out of staff, you need to value them, connect with them, listen to them and also see things from their point of view; it comes down to having mutual respect for each other, while customer-facing it is more about ensuring their experience is perfect from start to finish. The 25-year-old knows that providing the best service takes hard work and it’s a huge challenge but with the right drive and a passion for service and a good support team it is more than achievable. When asked what was his best career achievement to date James is quick to say landing the General Manager’s role at Tapas Barcelona. “When I worked for Starbucks and was picked as the District General Manager of the Year that was huge for me, alongside working as a GM for the biggest pub company in the UK, but I am most proud of this. It’s a big responsibility and challenge and one that I’m really looking forward to taking on.